We collect information for you, when you make a registration in our site, when you register in your account, join in a competition and/or when you unregister. The information we collect includes your name, e-mail address, telephone, address for delivery, date of birth, data for issuance of invoice and info for your orders in the site of PartyDrinks.BG. We are the only owners of the information gathered via this website. Your personal identification information will not be sold, exchanged or transferred to any other company for any reason without your allowance, unless in the cases it is needed an order or transaction to be fulfilled as for example sending an order to you. We use your email address provided by you for the purpose to send you information and updates concerning our website. If at any moment you decide that you want to un-subscribe from your email subscription we have provided instruction, please inform us, so we to remove your email from our bulletin. We are engaged in every moment to delete the client’s information, which identifies you as a client, including the information such as name, e-mail address, telephone number, address for delivery , date of birth, date for invoice issuance and every information, which connects you with the orders, made through the site PartyDrinks.BG. If you want to delete your personal data (name, e-mail address, address for delivery of the order), you have to write to our e-mail address info@partydrinks.bg, where you may write your wish to be deleted your personal data (name, e-mail, phone number, address for delivery). The company, which processes your personal data is Interactive Tactics LTD, where the company doesn’t reveal information for your personal data and your orders to third sides unless it isn’t connected with execution of your order or we has to discover this information by governmental body or the relevant competent court. We don’t sell, trade or transfer your personal data to outer parties under no circumstances. That does not include trusted third parties which help us for the operation of our website or conduct our business under the condition that the parties agree to protect this information in full confidentiality. 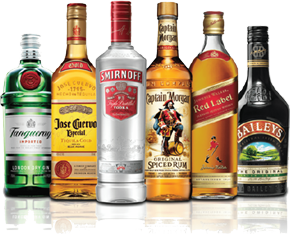 The quoted rights according to the current point may be used by you through sending an email with concrete demanding for it or instructions how to dial by yourself to mail address: info@partydrinks.bg. You may connect to our employee on telephone 088 999 0101. By using the site Party.Drinks.BG, you agree with our policy of confidentiality and a policy of keeping the personal data.